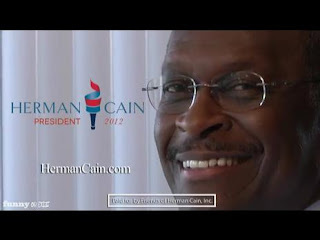 The Urban Politico: Politico Cites Herman Cain for Alleged Sexual Harassment from 1990's - Fair Game? Politico Cites Herman Cain for Alleged Sexual Harassment from 1990's - Fair Game? "I have never sexually harassed anyone, and yes, I was falsely accused while I was at the National Restaurant Association," Cain said in the interview, his first comments on the Politico story from Sunday. "I say falsely because it turned out, after the investigation, to be baseless...If the Restaurant Association did a settlement, I wasn't even aware of it, and I hope it wasn't for much because nothing happened...So if there was a settlement, it was handled by some of the other officers that worked for me at the association." So here's my "beef" with this story. Sexual harassment is a serious matter, and many political careers (not to mention lives) have been ended prematurely from such charges. That being said, there is a bright line difference between (A) somebody who actually committed sexual harassment and (B) somebody who had allegations dismissed. The former is something that you would definitely want to know before voting somebody into the Presidency; the latter - eh....not so much. It's no secret that I, like many people with a brain, find Herman Cain's poor excuse of a campaign to be an insult to our collective intelligence as human beings, but I also find that Politico's story here lacks merit. In short, do I really need to know about some matter that was "amicably resolved" between all parties nearly 20 years ago? This is a story where the alleged victims -- whose names you refuse to release -- have given no indication whatsoever that they wish to have their personal stories rehashed for the world to see. The only party that benefits from this is Politico. It would be one thing if the 2 women involved in this story wanted to come forward with their story. THAT would, without question, be newsworthy. But as it stands, this appears to be nothing more than Politico taking it upon itself to put forward an issue that was put to rest in the 90's that neither Cain nor the women involved are interested in talking about anymore. To put it differently, it appears that Politico is guilty of being an instigator here. 2. Is there a legitimate story here that we should know about? 3. Is Politico simply trying to instigate a dead story to sell papers? 4. Assuming that the 2 women do not wish to come forward, will this story gain any traction? 5. On a related note, is our society too quick to judge an individual who is merely accused -- and not convicted -- of sexual harassment?